The pictures below are of Peiping - Tientsin, our trip to the Great Wall, and some of our buddies we served with, ( some of which I still keep in touch with.) Fred Van Almsick - Blacklick, Ohio - Richard C. Larson - Ueiling, Nebraska - George "Jobby" Hart - Bloomington, Indiana. A Co. 1st Eng Bn. 's duty was to disarm and repatriate the Japanese forces in North China, pull guard duty at our compound (British Legation.) build a rifle range on the outskirts of Peiping, run train guard from Peiping to Tsingtao, and other areas of North China. I say Peiping, thats what we called it then. "The Walled City." It's Beijing now. Pictured below, two ships,Top: The USNS Starlight AP-175. On this ship we enbarked for China from SanDiego in early January 1946. A lot of sick Marines after about the first night out. 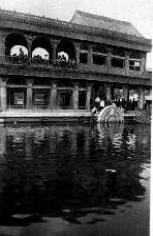 It was the first troopship for most of us. 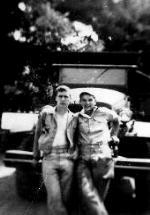 Bottom: We arrived back to San Diego on board the USNS Oneida APA-221, Aug 29th 1946. An article from it is lower down on this page. Below: This was the Ist Eng. pass we were all issued to get into the "Slopshoot" at our compound in Tientsin, China. Slopshoot, Jarhead jargon for bar. Ten cent Pabts Blue Ribbon and Duquesne beer. Hard stuf a few cents more. Pretzels, beer nuts and sandwiches. And last but not least, a great Juke box. 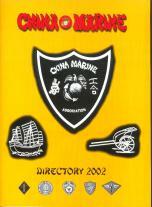 Below: The China Marine Directory for 2001-02. 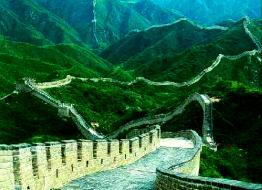 It has the names of all the members of the CMA, home addresses and where each served in North China.